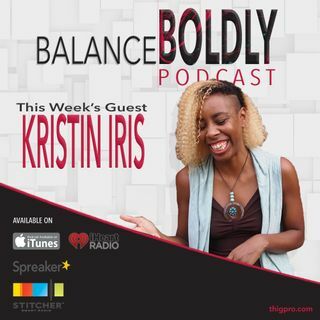 Special Guest Kristin Iris joins me today to share what limiting beliefs and thoughts are and how to create a paradigm shift in your work. She shares why you should make the effort of digging deep into yourself to figure out what’s blocking you from being a fantastic creative and why some people are afraid to go for and grab what’s good for them. Kristin Iris is a writer, speaker, and creativity mentor. She helps socially conscious people from different cultural backgrounds to overcome the ... See More oppressive conditioning, mindset, and beliefs that are hindering them from tapping their greatness. Her mission is to break down all oppressive systems, inspiring and igniting creatives of color to discover their full potential. She does this by helping them create a paradigm shift in their lives and the work they do.